Born in Armenia, Erik Sarkisyan came to the US in 1980 and began his insurance career in the mid-1990s with Century National as a policy service rep for the commercial auto department. This experience led him to accept a junior underwriter position at McNabb Insurance, where he was eventually promoted to underwriter. 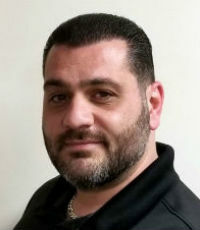 Ten years later, Sarkisyan joined RIC Insurance General Agency as a transportation and business auto underwriter, helping retail agents find the right commercial auto solutions for their clients.